It turns out the Boston Bruins are not the only pro-hockey available to us. The AHL still exists, and it released it’s schedule for the 2018-2019 season. The Eagles were, until this season, an ECHL franchise and were associated with the San Antonio Rampage. So naturally, with the addition of the NHL expansion team, the Vegas Golden Knights, the Eagles are the newest AHL team and are affiliated with the… Colorado Avalanche. Wait… how does this happen? Doesn’t Colorado already have an AHL franchise? The Blues, in turn, signed an affiliation agreement with the San Antonio Rampage. The Rampage were the Avs’ AHL team but the Colorado team decided having their AHL team nearby was a good idea, and would elevate their ECHL affiliate prior to the 2018/19 season, and the Blues would pick up the Rampage’s partnership. And to make it slightly more confusing, both the Blues and the Avs were sending their prospects through the Rampage last season. 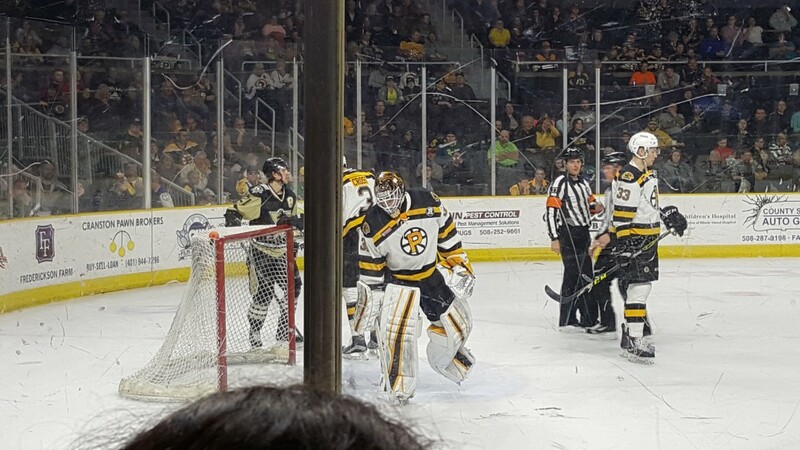 Anyway, the Bruins AHL franchise – the Providence Bruins (or “P-Bruins”) – are in the AHL’s eight team Atlantic Division. Teams in the Atlantic have a 76-game season (as opposed to the Pacific Division, who have 68 games each). Their season opener is Oct 5 in Hartford, and they appear in Providence the next night, hosting the Laval Rocket (aka, Le baby Habs). The AHL schedule is supremely balanced, with one home and one away game vs North Division teams Belleville, Binghamton, Laval, Rochester, Syracuse, Toronto and Utica, but not Cleveland. Ever. 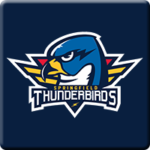 And against their division rivals, 6 games vs each of the Hershey Bears, Lehigh Valley Phantoms & Wilkes-Barre/Scranton Penguins, 8 games vs the Charlotte Checkers, 10 games vs the Hartford Wolf Pack, 12 games vs the Bridgeport Sound Tigers, and 14 games vs the Springfield Thunderbirds. So there you have it. All of Providence’s games for the upcoming season have been inserted into our event calendar. Watched Bruins in 2 yesterday. Wild game vs Redwings. Marchand finishing his hat trick in O\T. Good food for the hockey starved. I’ll have to keep an eye out for more. There’s always some classic games on youtube. I have some great Bruin games on video cassette, as well. The video cassette was…… as nevermind. The game was wild. It did not include the Wild (cuz that would be boring). I don’t get to see much AHL, but the NWHL games are often streamed on YouTube, which is pretty cool. At least they have an excuse for playing the same teams over and over again, since there’s only four in the league. Off to Slovakia next week. As things stand the local team (champions again!) have no preseason games scheduled while we’re there, but sometimes they arrange one late on. Again, AHL very bad at geography. However, they make up for it by being notoriously cheap when it comes to travel. Teams often play twice the same weekend in the same city. Games tend to be Thursday,vFriday, Saturday, and Sunday afternoon. Saves a ton of dough. Ah, now that does make sense. Hockey – and travel – ain’t cheap! since there’s only four in the league. At least five this year – they signed up the Minnesota WhiteCaps! Morning all. 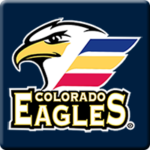 Sorry Colorado, but I can’t root for your new team because you blew it and didn’t name yourselves the Colorado Sam the Eagles. Just imagine the jerseys. Such a wasted opportunity. The AHL has never been great at geography. We are lucky to have several AHL teams in the area. Yup, we lost a couple, but still have plenty of good hockey cheap. Still plenty of work to do here. Mowing today, methinks. I read that as “meowing today” and I wasn’t sure if I wanted to know why you were doing that. Damn autocorrect! I meant meowing! I’m still sad that there’s no AHL team in NH or ME.